Dr. Rui Wang is an Associate Professor of Population Medicine and Director of the Division of Biostatistics in the Department of Population Medicine at Harvard Medical School and the Harvard Pilgrim Health Care Institute. She is also an Associate Professor in the Department of Biostatistics at Harvard T.H. Chan School of Public Health. Dr. Wang received her PhD Degree from Harvard University. Dr. Wang’s research interests include the design, monitoring, and analysis of parallel and stepped-wedge cluster randomized trials, where a group of subjects, as opposed to individuals, are randomized to each of the treatment arms in the trial. The particular questions she is addressing include the investigation of how the complex correlation structure within clusters affects the sample size and power of the trial, and how to analyze data from such trials efficiently, taking into account the correlation structure and the issue of missing data. She has also been developing improved statistical techniques for a cross-sectional approach that, when combined with modern HIV screening methods, can substantially reduce the cost and increase the accuracy of HIV incidence estimation. Her research interests also include longitudinal modeling of non-linear trajectories and model selection, as well as addressing missing data issues in distributed data networks. 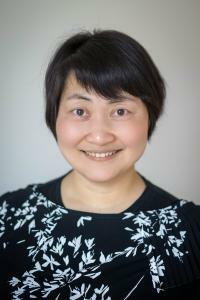 Dr. Wang co-leads the data coordinating center for the Pediatric Adenotonsillectomy Trial for Snoring (https://patstrial.org/) and the Impact of Low Flow Oxygen Therapy on Hospital Admissions and Mortality in Patients with Heart Failure and Central Sleep Apnea (https://lofthf.study/). She provides statistical input to Epicenter projects and the Preventing Avoidable Infectious Complications by Adjusting Payment (PAICAP) study.